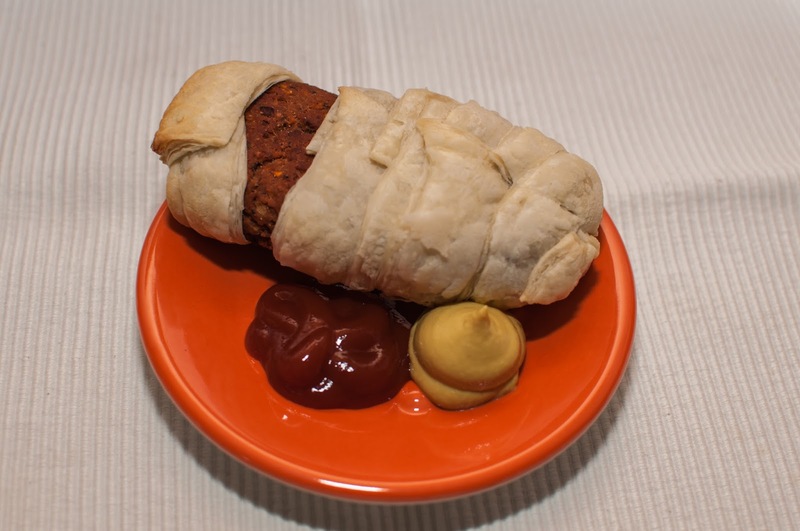 This burger it's perfect as a traditional burger or wrapped in puff pastry like a mummy (just make sure that the pastry is vegan). 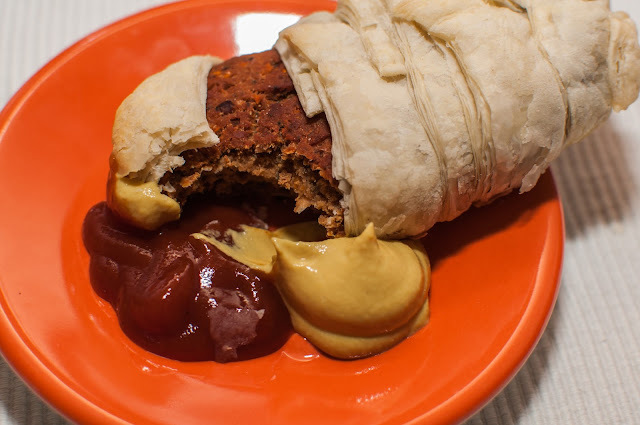 It's really good with mustard, vegan mayo, ketchup or whatever sauce you prefer. And I really think that the kids will love this one too because it's fun to eat a mummy any day of the year, not only on Halloween. And it's also pretty easy to make, because you don't have to cut anything in small pieces. Just toss everything in a food processor and press on. Let's go to the recipe now! 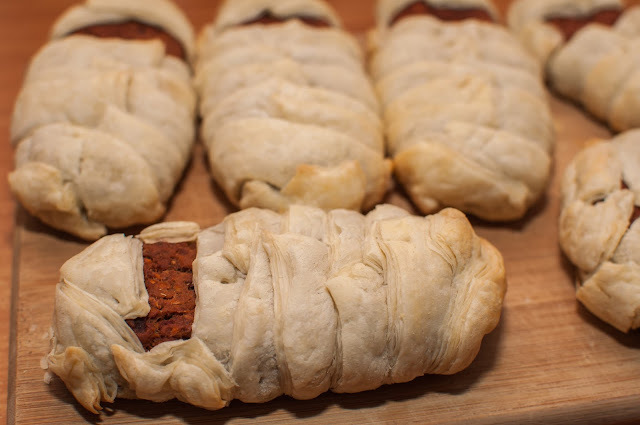 Put the mixture from the food processor into a big bowl and add the rest of the ingredients (flours, spices, tomato paste) and mix until everything is well combined and you have a firm dough. 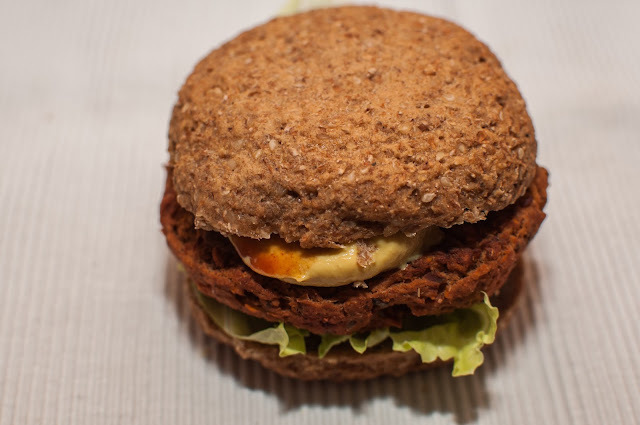 Knead that for 2-3 minutes, then form burgers, about 8-10 cm (3-4 inches) in diameter and 1-1.5 cm (1/3 – ½ inch) thick. Then you should take some puff pastry, roll it until it's about 3 mm thick, then cut it into strips and wrap your "mummy". 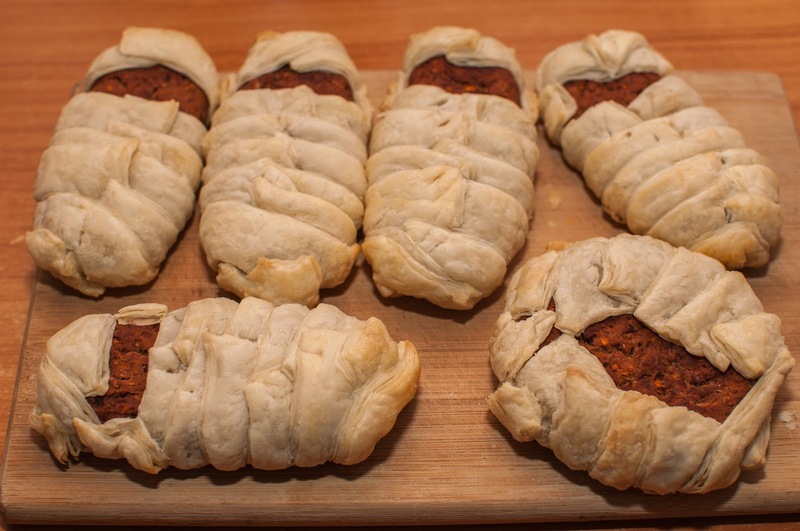 Bake them for about 15 minutes or until golden-brown and flaky on medium heat. Enjoy with the sauce of your choice! Also, I have a video for these mummies! Don't forget to follow this blog, subscribe to my YouTube and comment if you have something to say!